And despite the sad premise, I enjoyed it. 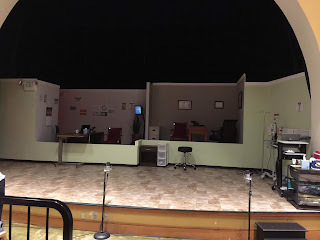 Below is a pic of the stage, minus a very fancy hospital bed. 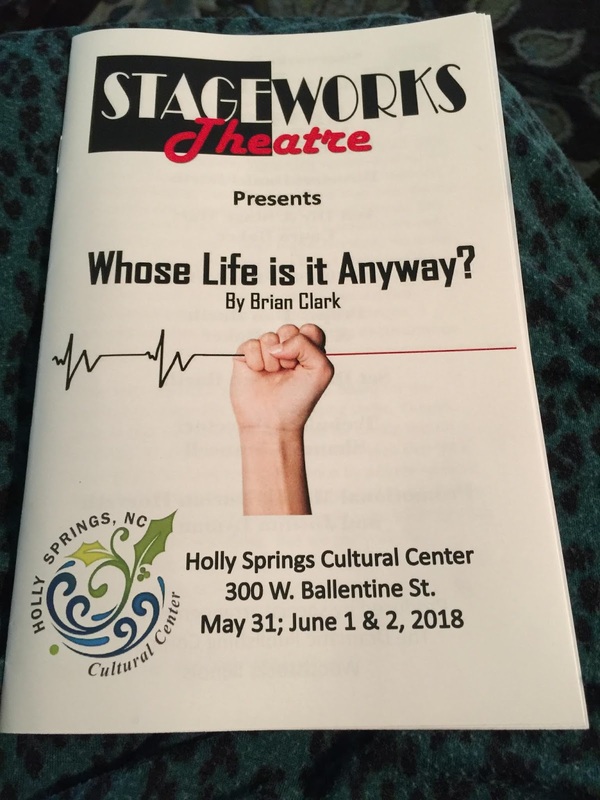 The whole play takes place in a hospital room and doctor's office. The main character has become a paraplegic, due to a car accident. She has been in the hospital for 5 months and wishes to leave. The docs tell her she will die if they release her - which is what she wants - rather than to live in a bed for the rest of her life. 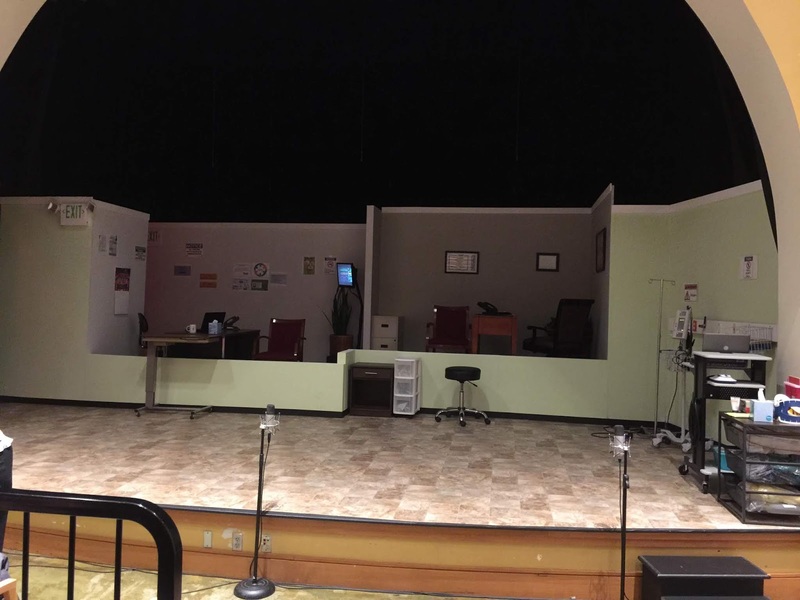 This is the stage, with the nurse's station and doc's office in the rear. 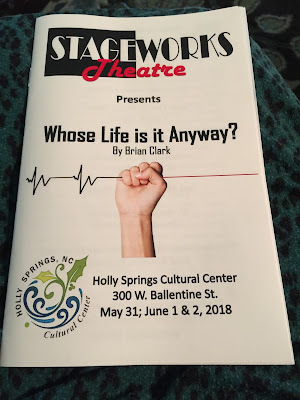 I was impressed with the cast, crew and director of this play and I will look forward to seeing some of their productions in the future.